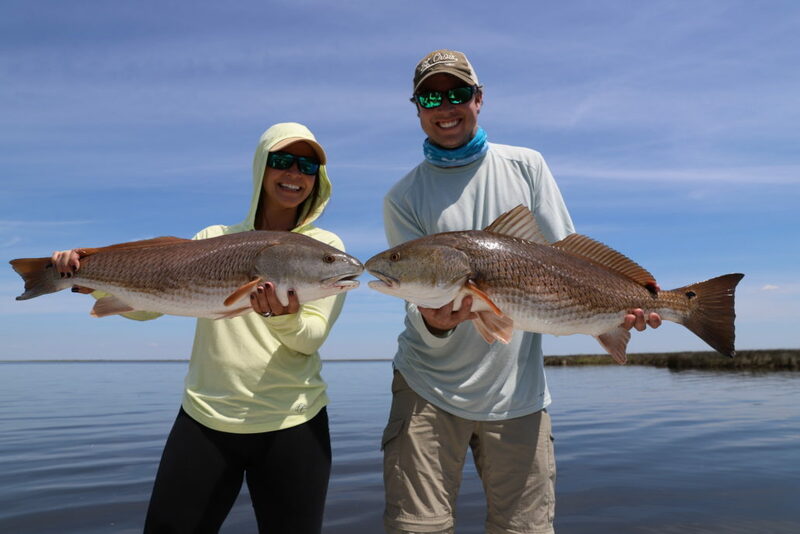 We would love to hear from you! 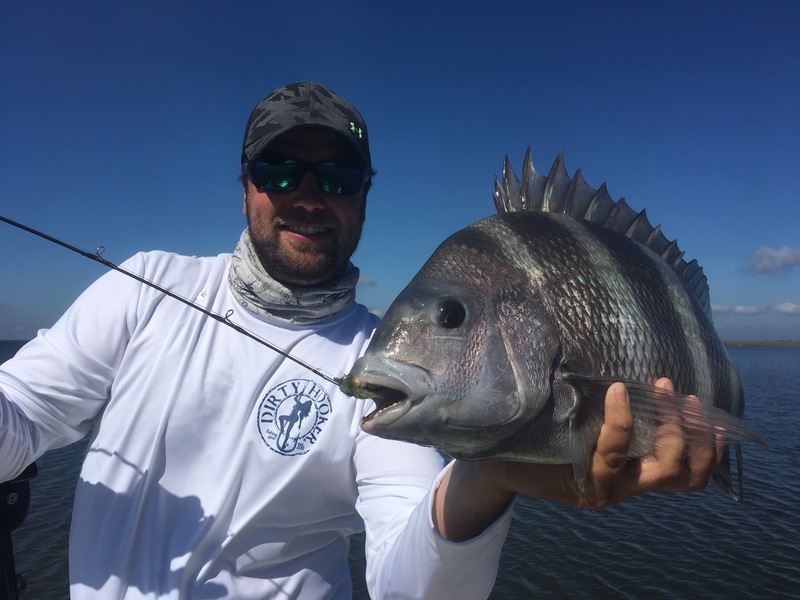 We are often out on the water and out of phone range, but please drop us a line and we will get back in touch with you as soon as possible! 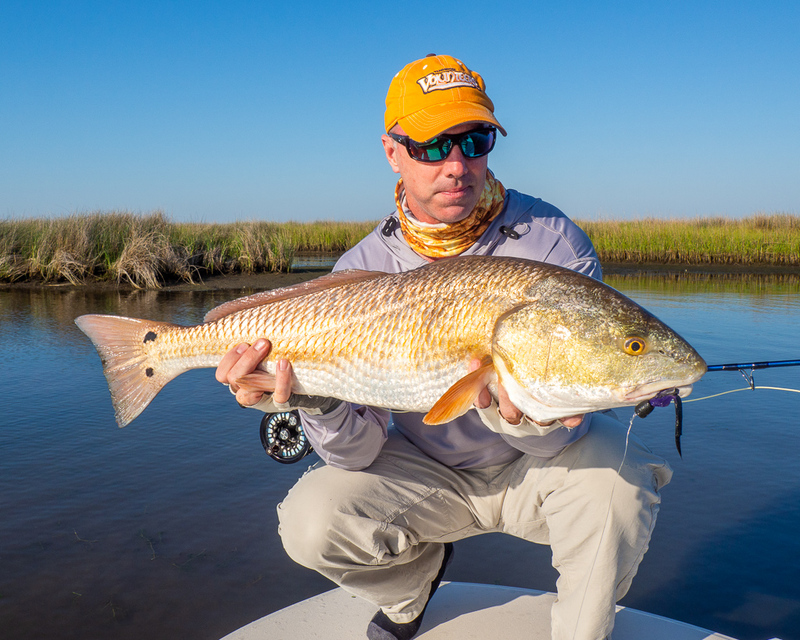 This spring has been one to remember… Typically I stay in the interior marsh chasing slot fish in the 6-12 lb range. 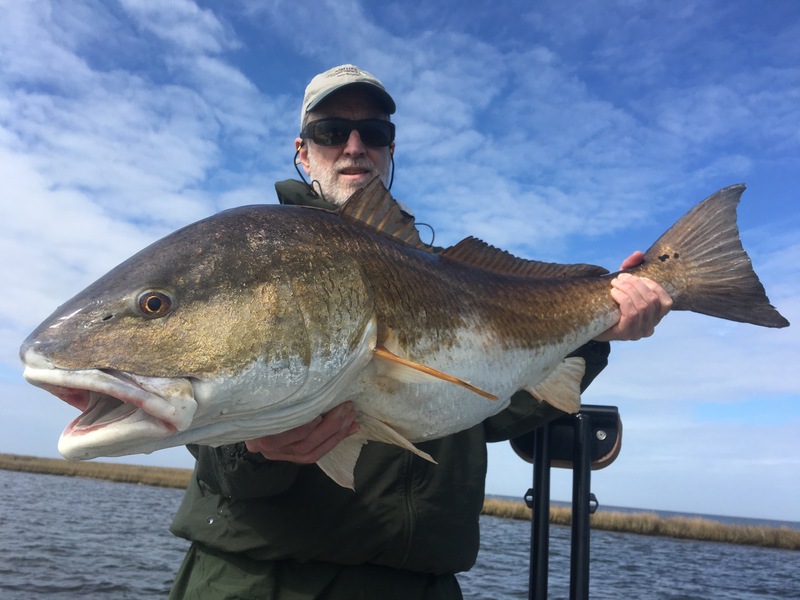 But this year the grasses grew thick early and choked up much of the interior marsh making many areas almost unfishable. 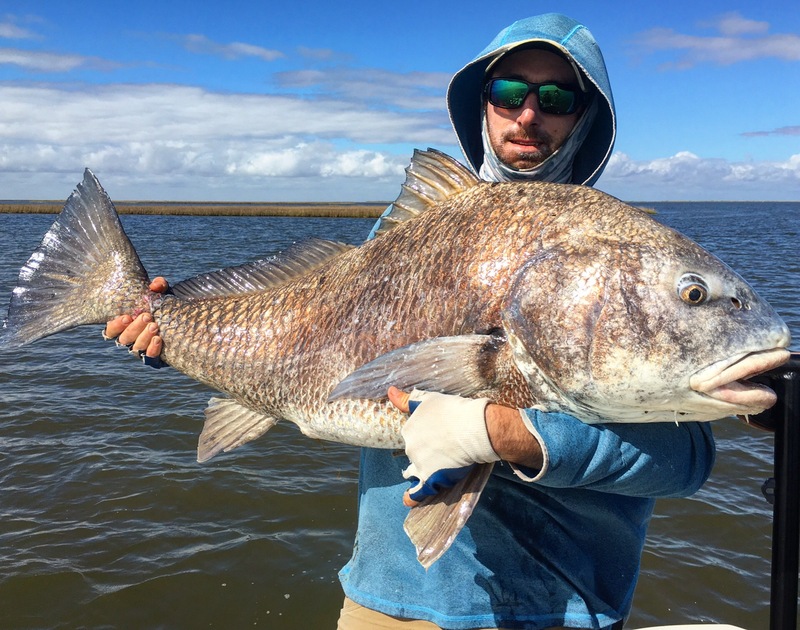 Although this is a normal process, it usually doesn’t happen until mid-summer. 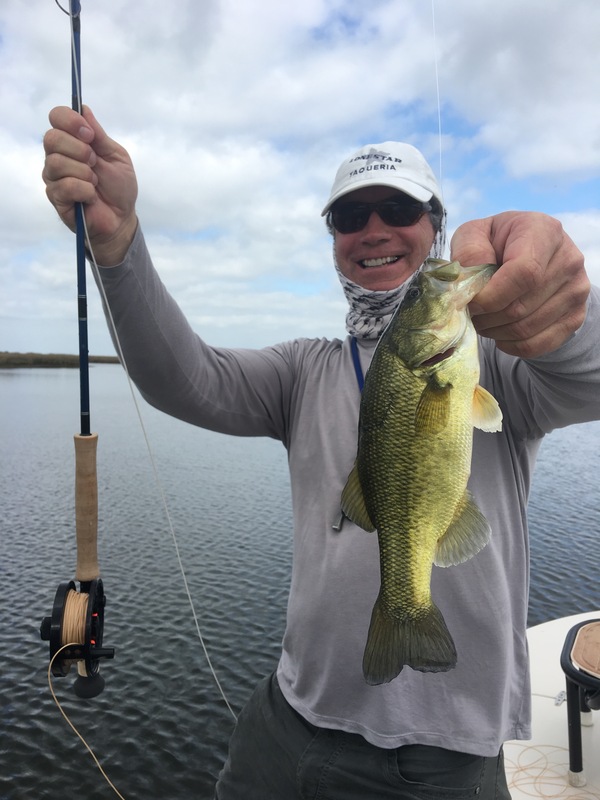 So this year, I started fishing the exterior marshes to escape the thick grass, and what I found was some very good fishing. 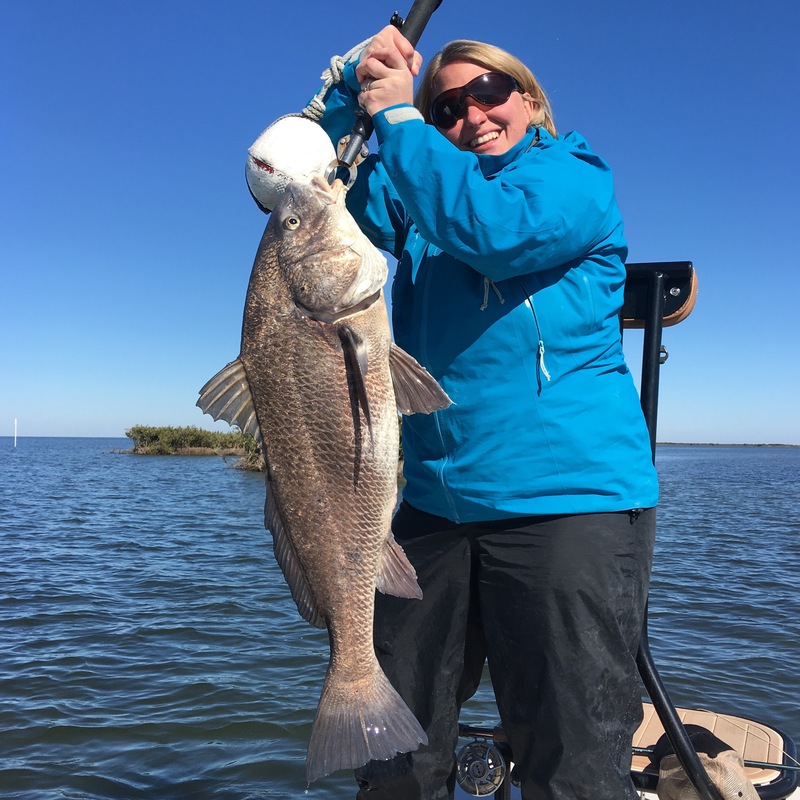 Instead of the average 7 lb fish, I’ve been seeing lots of 10-11 lb fish and the occasional very big fish in the 25-30 lb range, not to mention a seemingly endless supply of tailing drum. 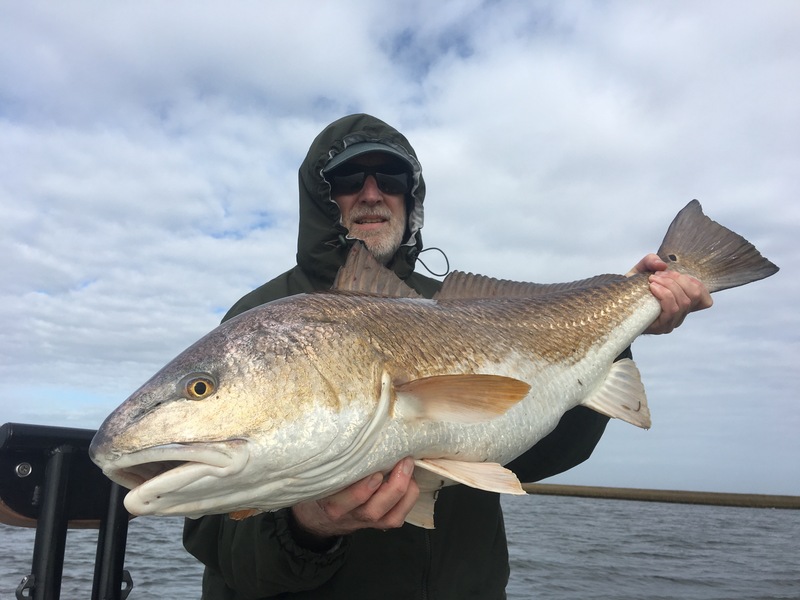 It’s lookibg like the weather is finally stabilizing, as well, so the great fishing should hold up for the next month or two. 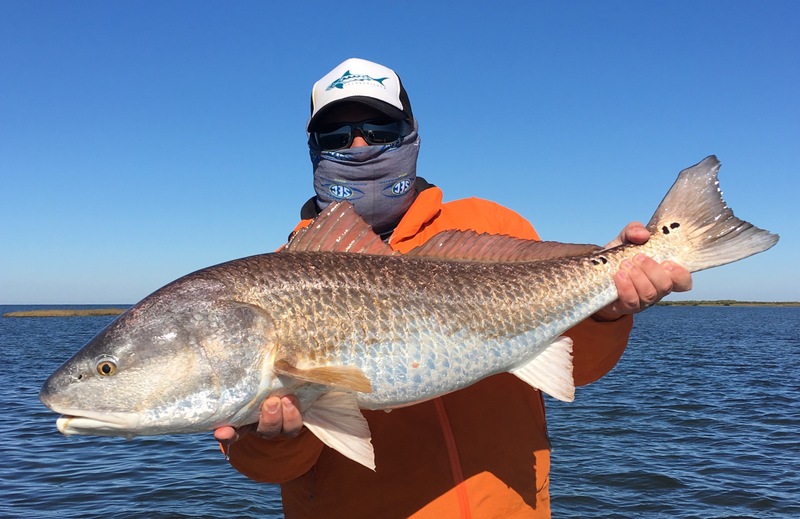 This past January proved to be one of the best Months of the season. 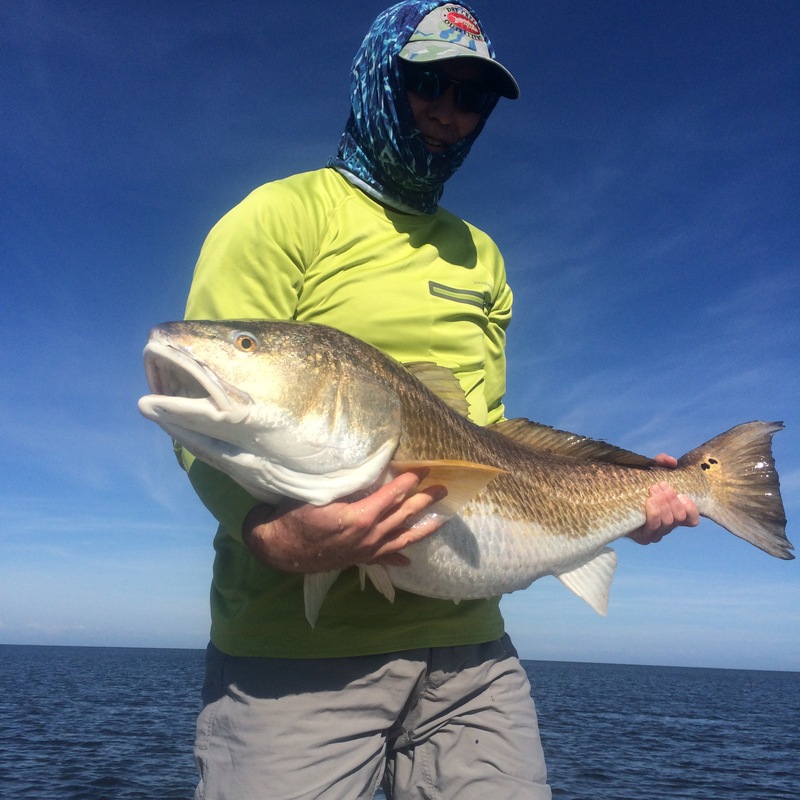 Although we only had one hard front during this month we had very good pre front and post front fishing. 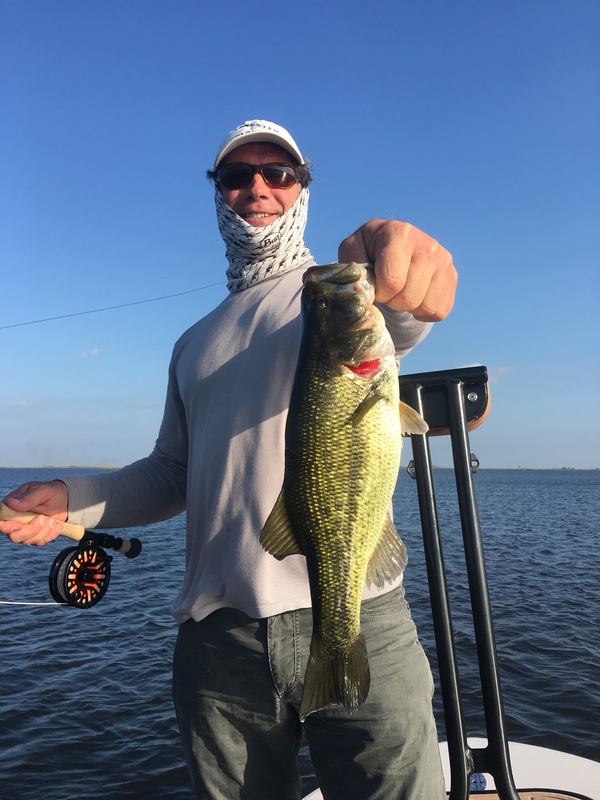 February was warmer then usually which forced me into the interior marsh to target spring time fish that payed off with many fish in the 6-12 lb range and a couple bass as well. 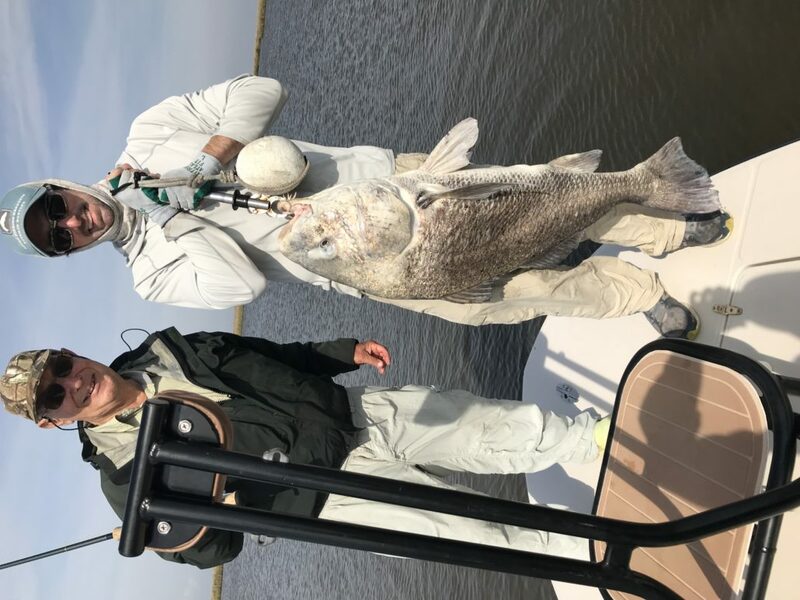 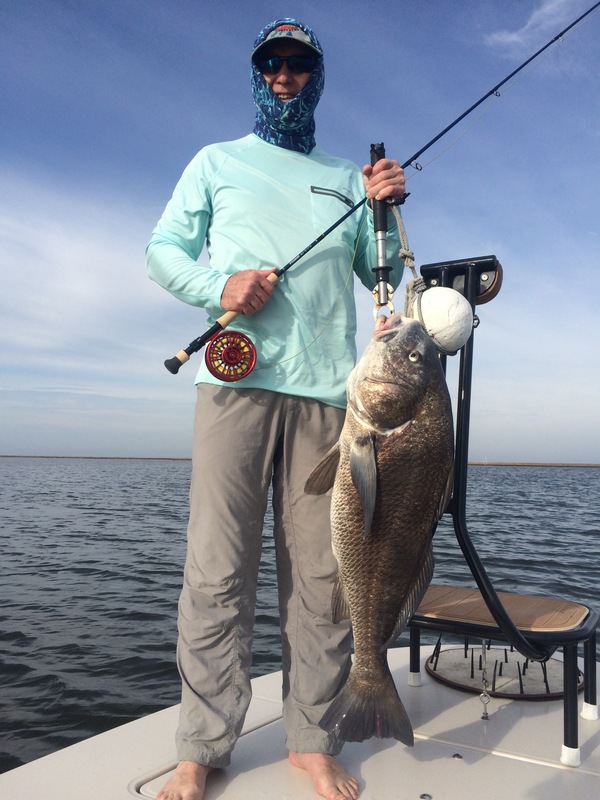 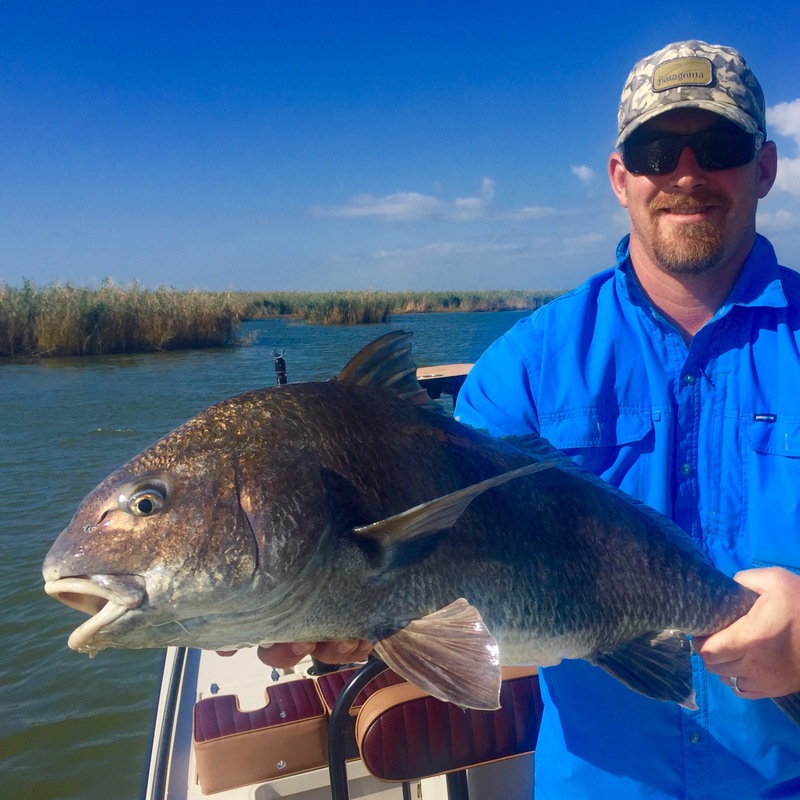 We also boated the largest black drum ever on my boat mid February. 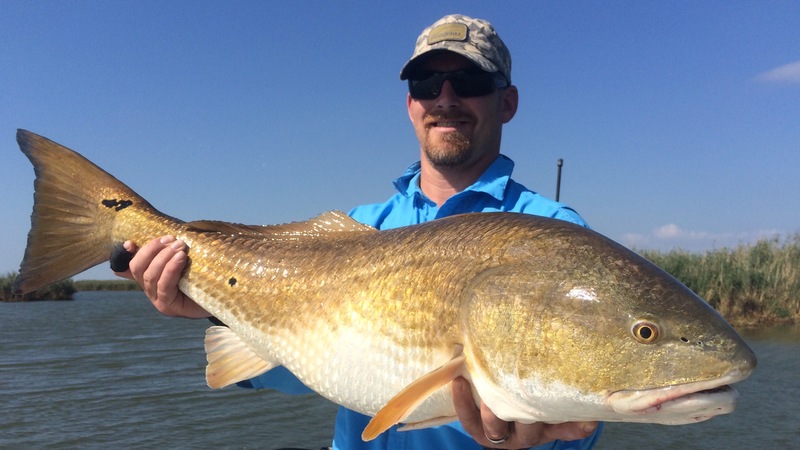 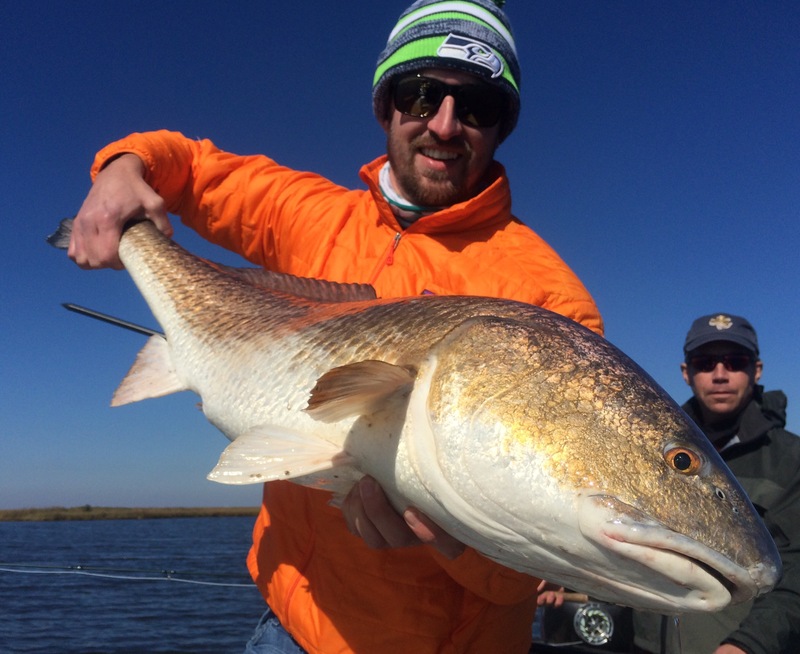 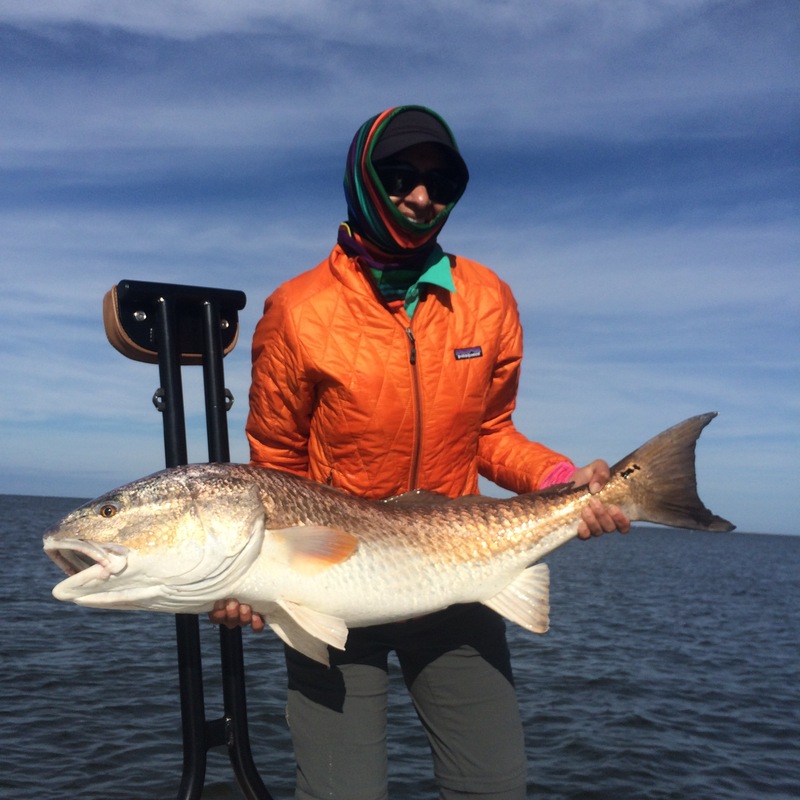 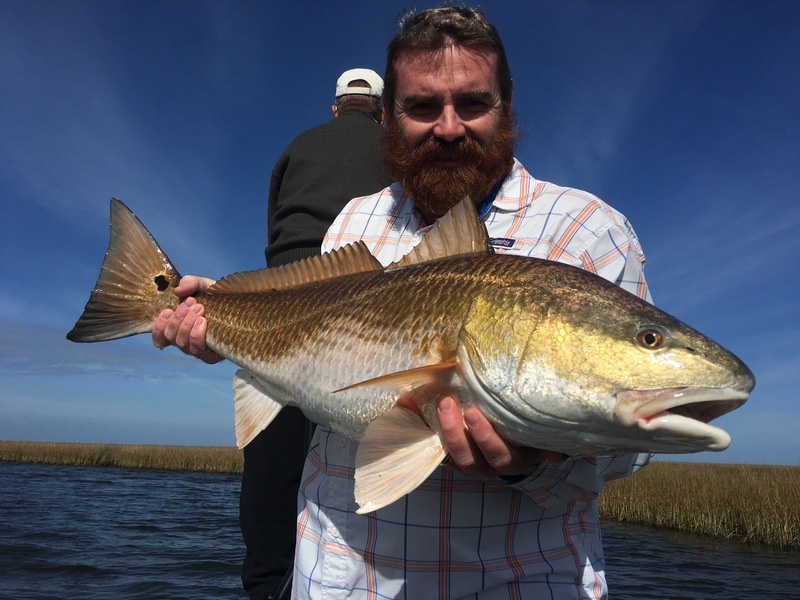 Although we have had a mild winter, we are still seeing a healthy amount of wintering redfish in the marsh. 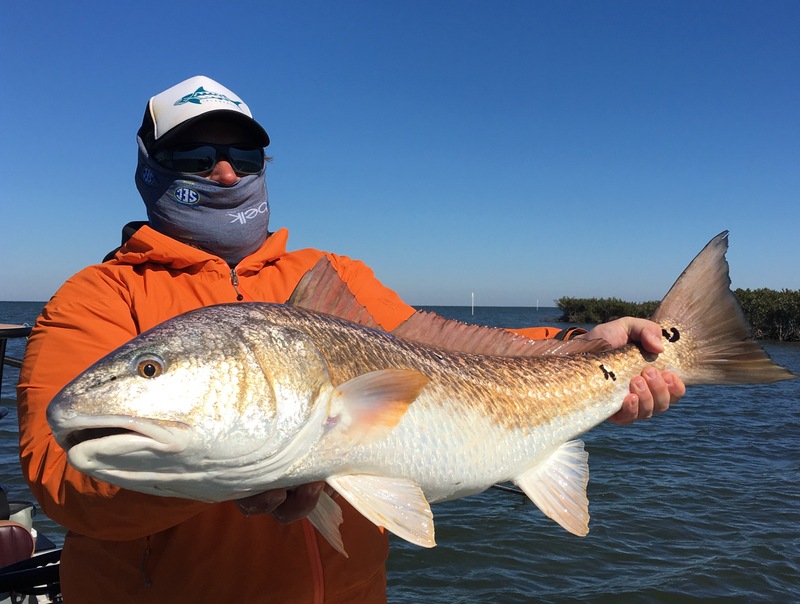 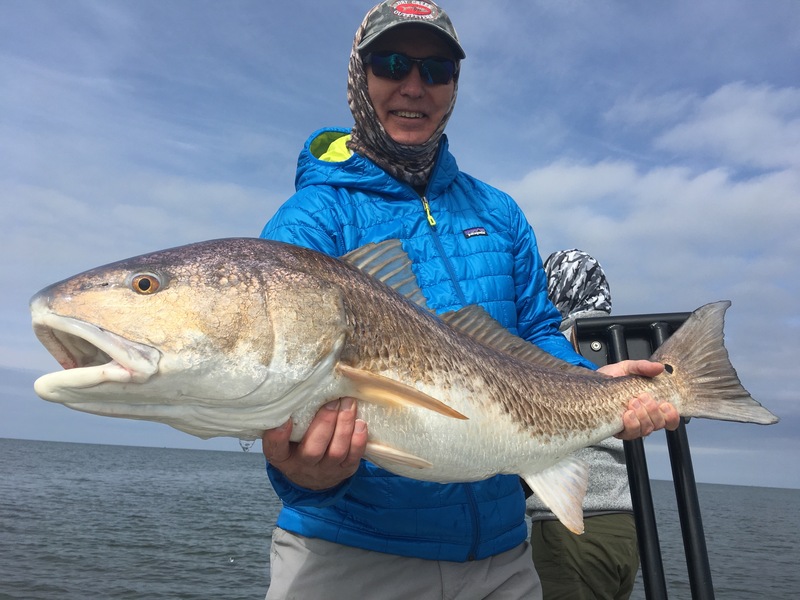 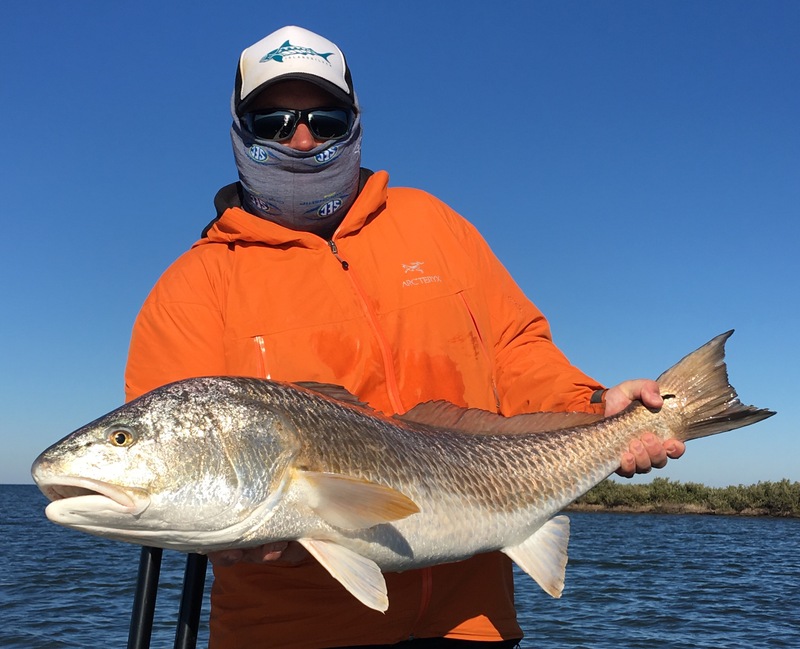 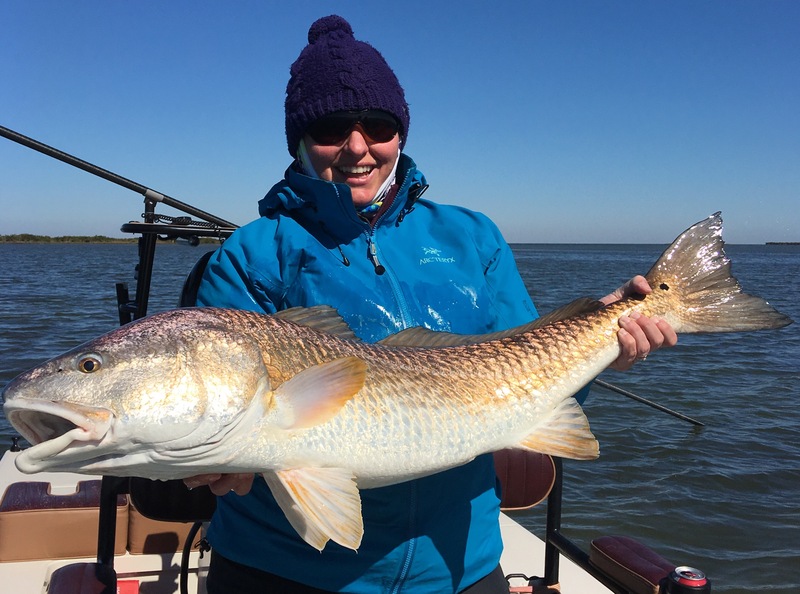 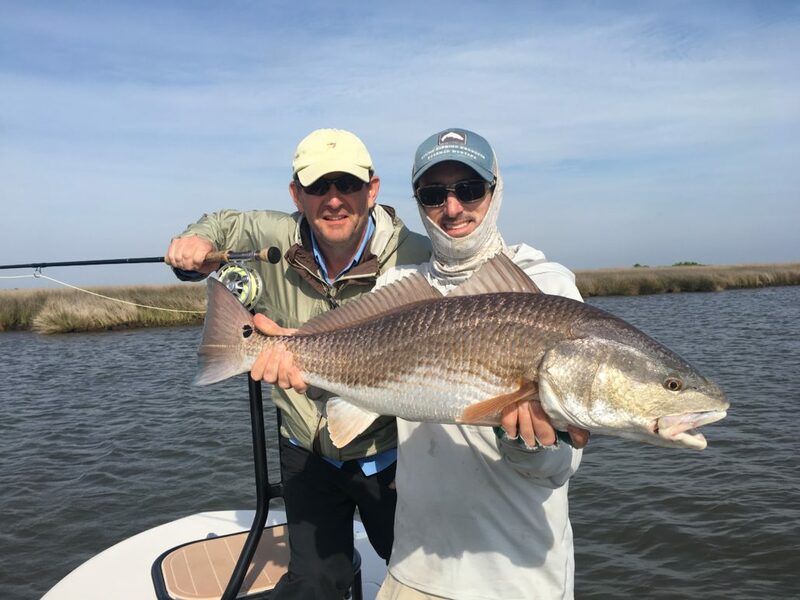 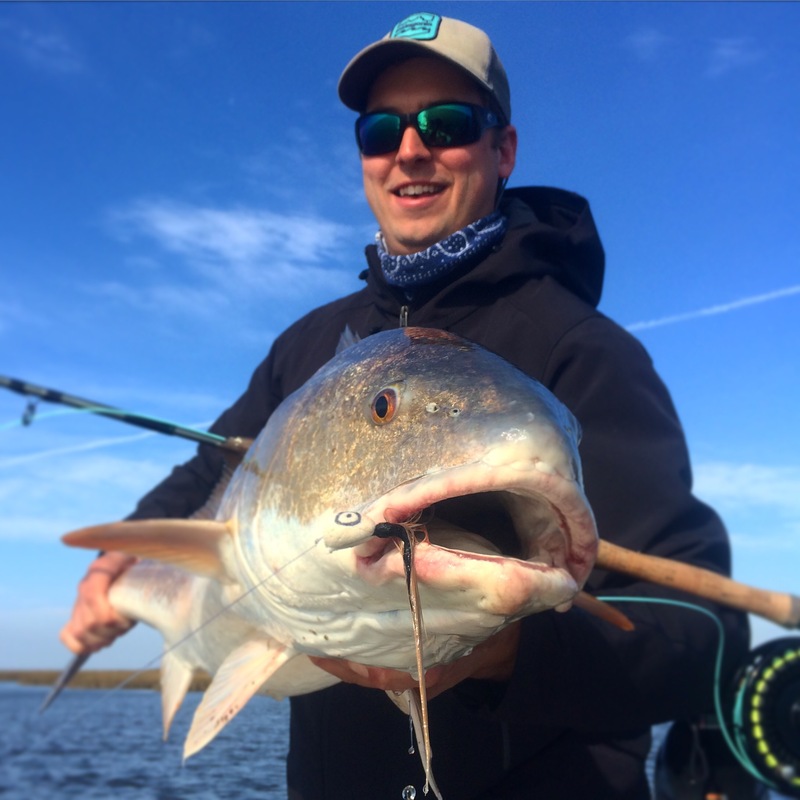 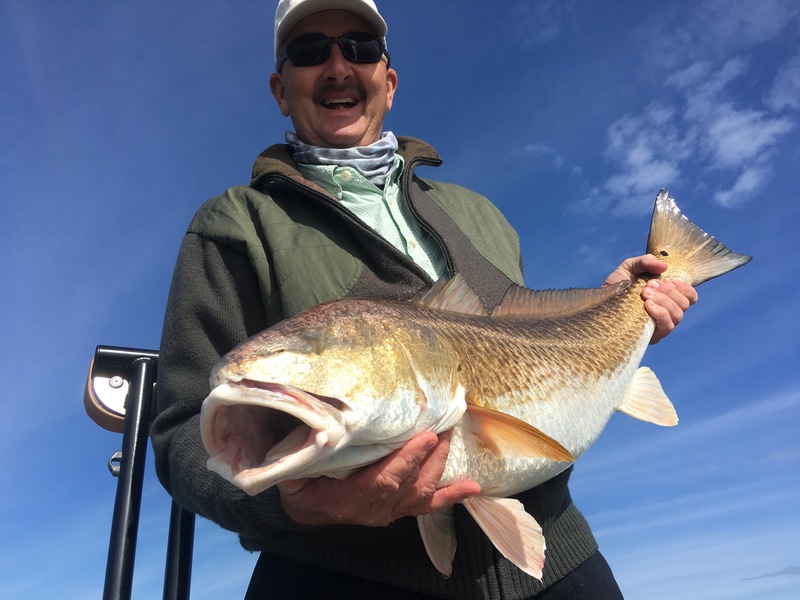 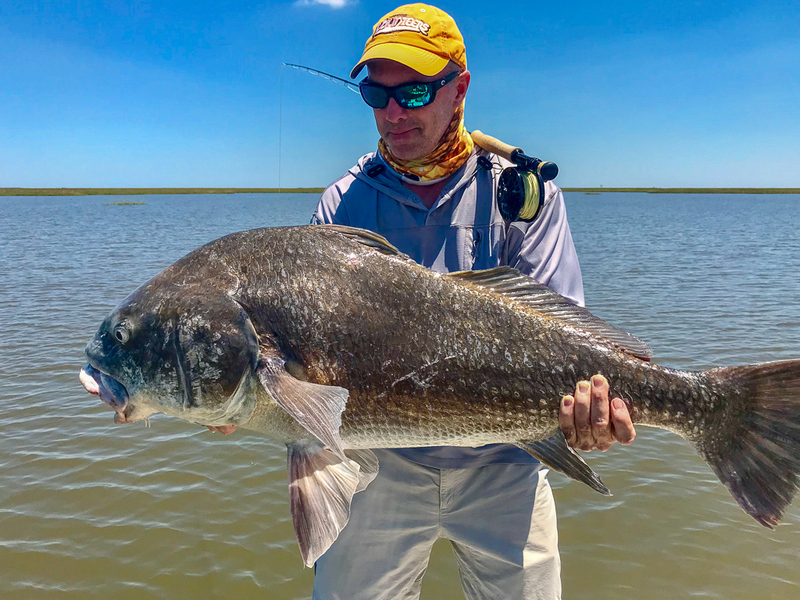 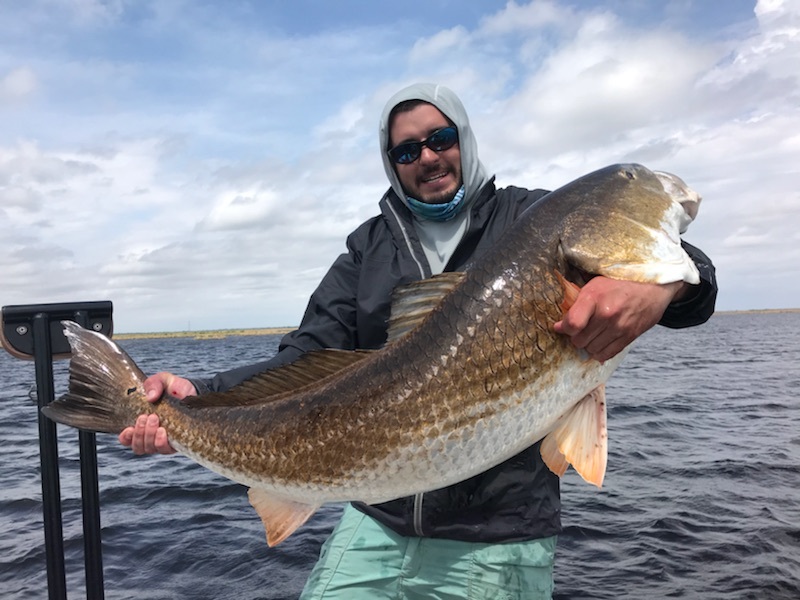 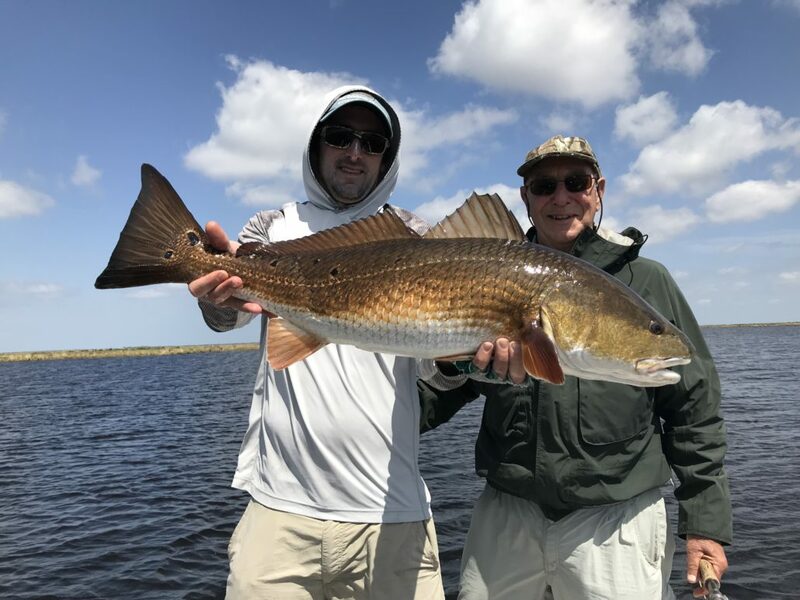 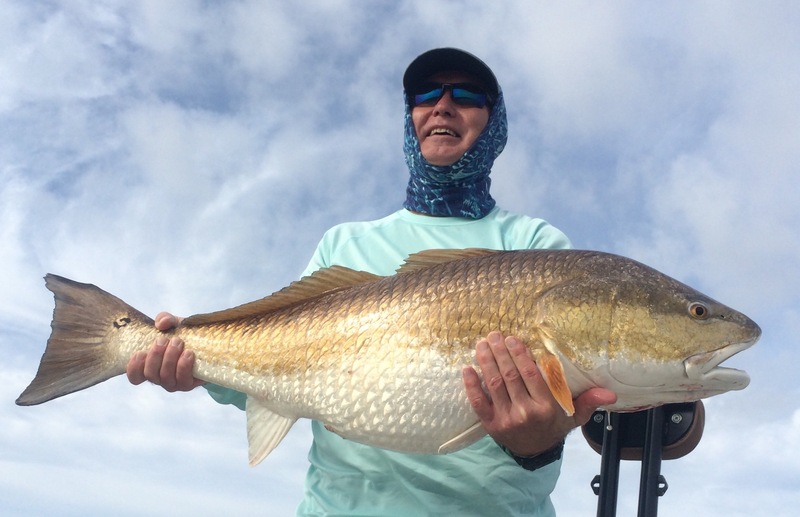 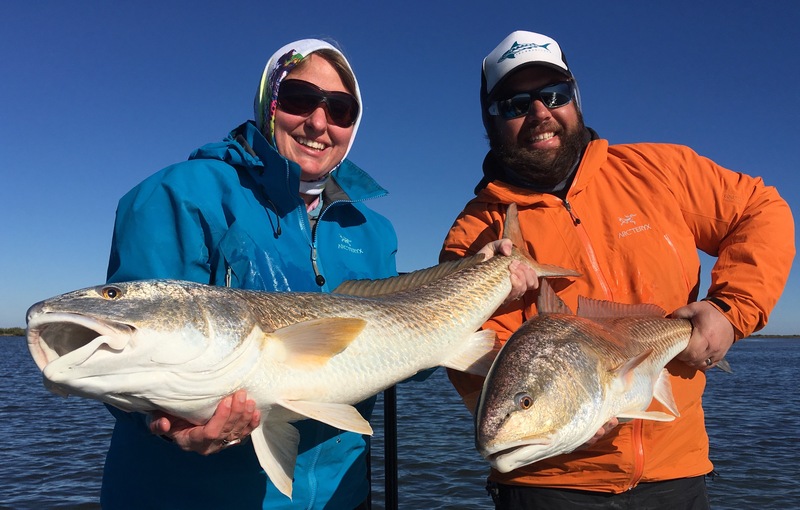 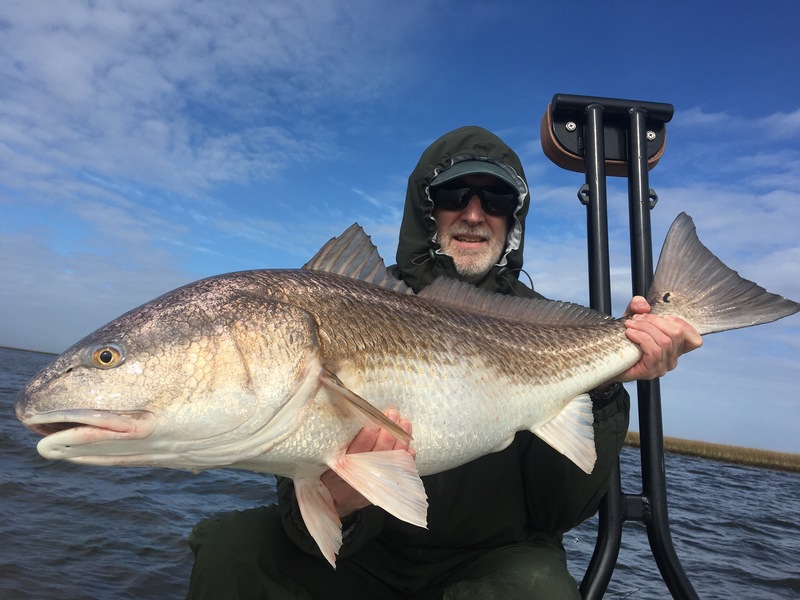 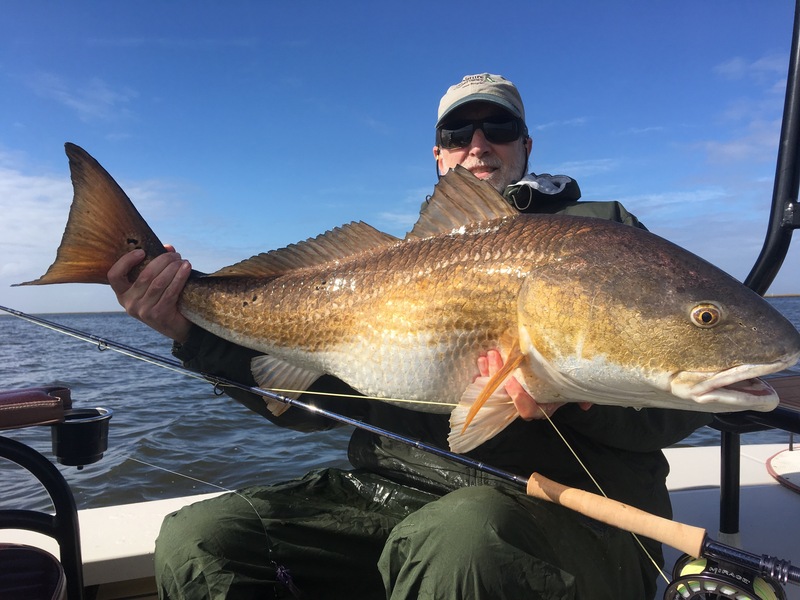 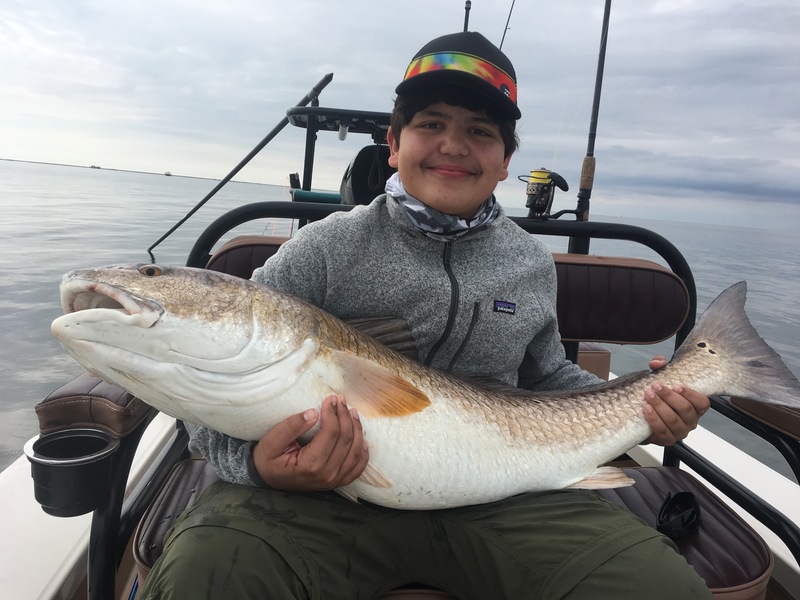 Although most of our customers come down in the fall to target redfish there are many other opportunities on fly… Foster has caught many big redfish on fly so he wanted to do something different. 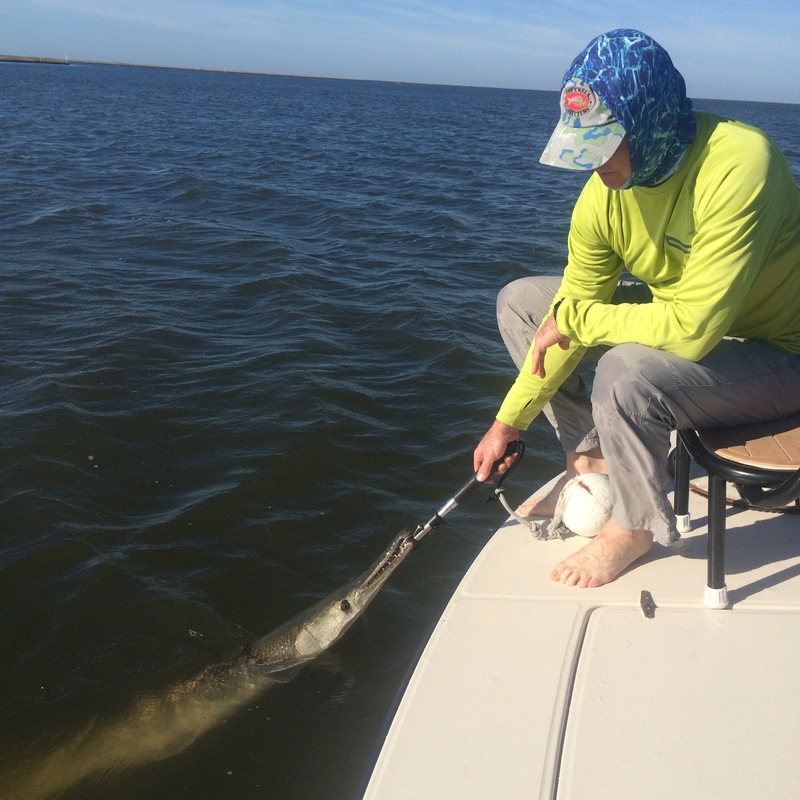 I was all about it… We started in redfish areas passing on “most” redfish to target alligator gar and drum. 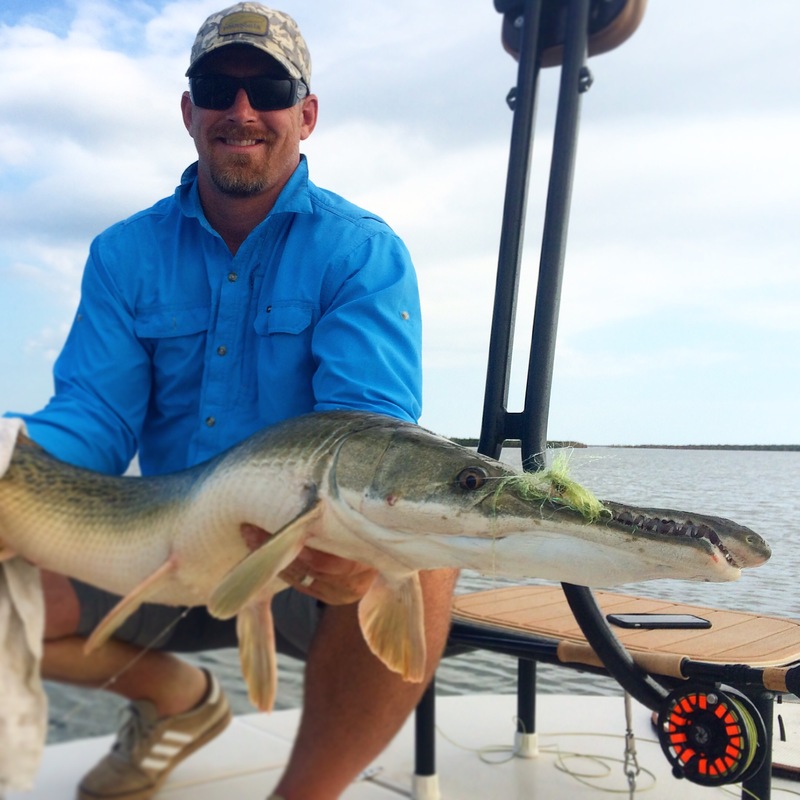 It didn’t take long to get the drum and after a few missed hooks we got the gar. 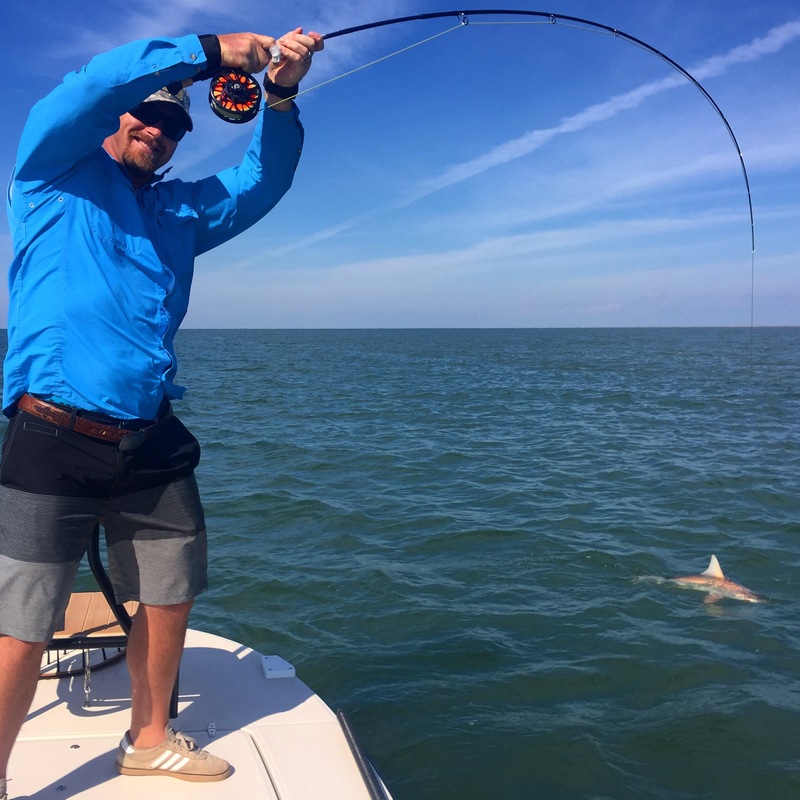 The next day was shark day. 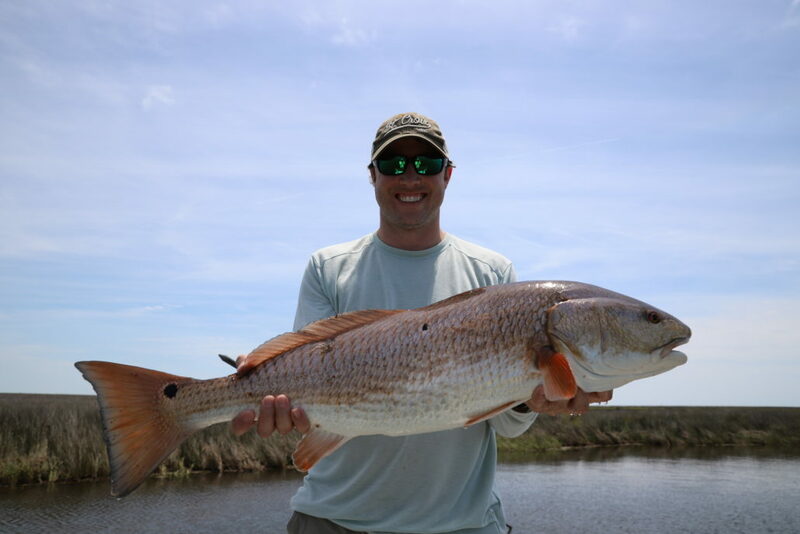 After passing on a school of about 200-300 reds we found where the Sharks were holding. 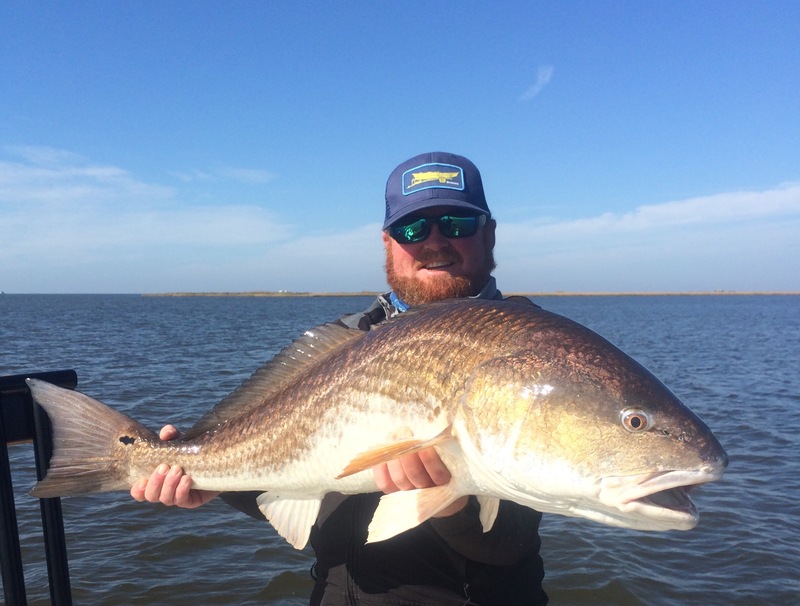 It didn’t take long to get one on the hook.